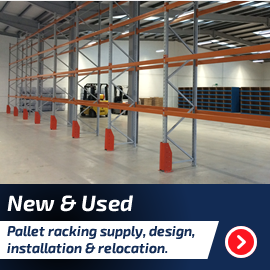 Save up to 40% on your pallet racking, shelving or mezzanine flooring! We sell only the highest quality pallet racking and industrial mezzanine flooring and it's fitted by the very best installation teams. Benefit from dealing with one of the South East's leading pallet racking, mezzanine flooring, shelving and cantilever racking suppliers. Over the years, we have worked for hundreds of industrial and commercial clients across Kent, London and the Home Counties, assisting them with all their pallet racking and mezzanine flooring needs. 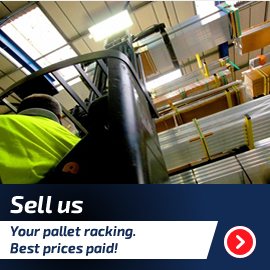 Our big buying power for new pallet racking and industrial mezzanine flooring and the largest stock of used and refurbished pallet racking in the South East enables us to offer the most competitive prices in Kent, London and the UK. 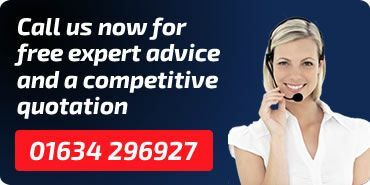 Contact us to arrange a free on-site quotation or send us your drawings and we will send you the best possible price and industry leading guarantees for all your pallet racking or mezzanine flooring solutions. Supplied and installed for a variety of commercial and industrial clients across the South East and the rest of the UK, our pallet racking and mezzanine flooring installations start from as little as £2000 for smaller projects, but we do a lot of the big stuff as well! For over 30 years we have been a leading national supplier of new and used pallet racking, industrial shelving, document archiving and storage solutions, drive in racking and mezzanine flooring throughout Kent, London, Basildon, Watford, Sussex and the rest of the UK. Our large stock of major FIFO pallet racking brands, big buying power and a UK dealer network enable us to create you the most cost effective storage and industrial ​pallet racking solutions. Design, supply and installation included. Get a free on-site visit and design from one of Kent and London's leading commercial and industrial pallet racking suppliers. We hold large quantities of new and used pallet racking if time is a factor. With a fast turnaround on design, supply and installation, a new pallet racking project can be quoted and installed within two weeks by our team of experienced SEIRS registered pallet racking installers who work around you requirements to ensure minimum disruption to your operations. 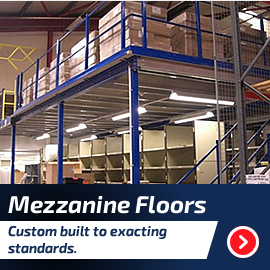 Supply and installation throughout the UK by SEIRS registered mezzanine flooring and racking installers. Working across Kent, London and on larger projects nationally we provide commercial and industrial clients the best new and used pallet racking, highly effective shelving and exceptionally designed and installed mezzanine flooring. Contact our technical sales team today, and find out how we can help with your next industrial pallet racking, mezzanine flooring, cantilever racking or shelving project. We offer you substantial savings by reusing your existing materials, buying back stock, or supply a combination or new and used racking; this gives a best-cost solution without compromising on quality. Relocating and need a quote? All our used racking is refurbished to the highest standards in our dedicated workshop and stored in our warehouse, close to the M20, M2 and M25 Motorways. We can provide instant quotes on stock products; a same day decision on buying your used racking; and a rapid turnaround on design. The majority of our jobs are completed within two weeks. Want us to buy your racking?